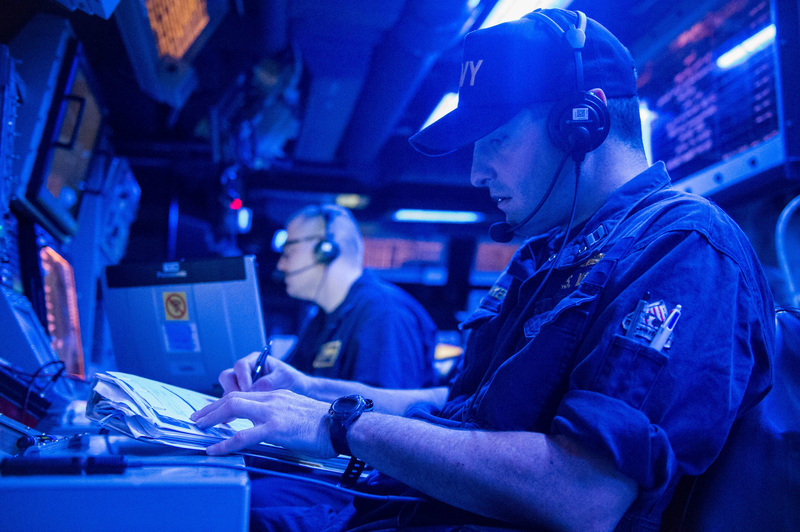 When the U.S. Navy conducted strikes on Syrian targets last month, the Naval Surface and Mine Warfighting Development Center (SMWDC) was on hand to provide expertise on conducting high-end tactics in a complex environment. When U.S. Navy ships were targeted by Houthi anti-ship cruise missiles in October 2016, SMWDC swarmed in afterwards to understand what happened and how to learn from it. 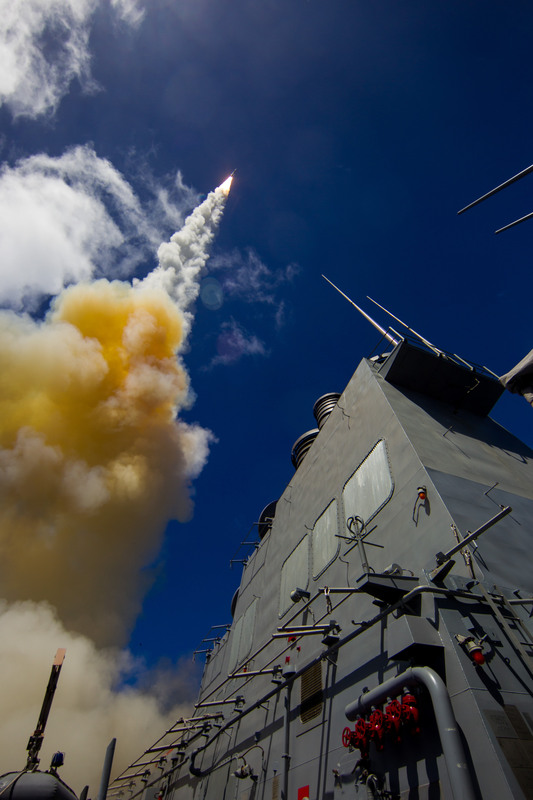 And when operators in the Mediterranean Sea needed additional protection from growing threats in the region, SMWDC experts joined an effort to help integrate the SeaRAM weapon system with ballistic missile defense destroyers and write the tactics and procedures so sailors could operate safely in the region. During Rear Adm. John Wade’s two years commanding SMWDC, the organization’s role in the fleet has expanded significantly, allowing the center to not just develop subject matter experts in surface warfare – Warfare Tactics Instructors (WTIs), akin to the expert pilots that come out of the Navy’s Top Gun school in Nevada – but also to serve as an advocate for the surface community’s warfighting needs. 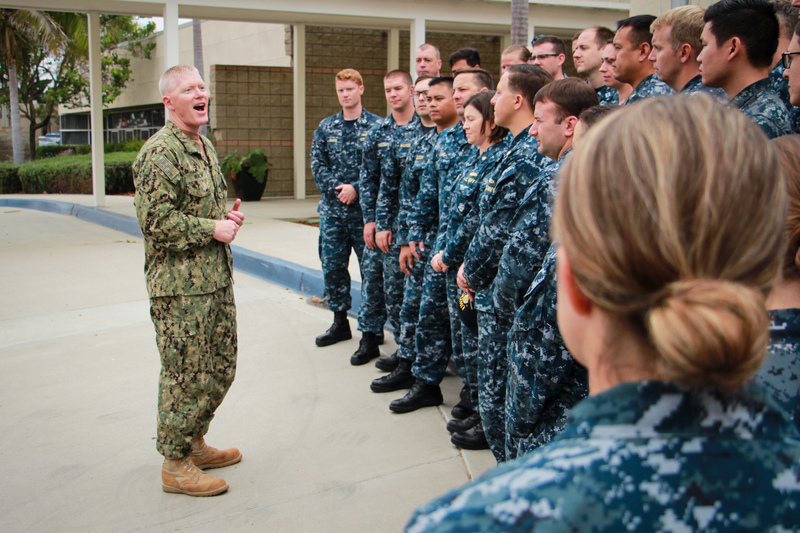 Wade, who is set to turn over command of the organization on May 8 after leading SMWDC since August 2016, told USNI News that he’s proud of SMWDC’s evolving role as an asset for the whole fleet. “For the first time in the surface community we are making tactical and technical training a priority and putting discipline and rigor into that process so that we can create experts that then can provide training and operational support and help drive requirements for the future fleet, while at the same time building proficiency and competence and confidence so as they (the WTIs) grow in the organization they’re more effective department heads and executive officers, commanding officers and then eventually major commanders and admirals,” Wade told USNI News in an April 27 interview ahead of the change-of-command ceremony. SMWDC was stood up in June 2015 as a counterpart to the Naval Aviation Warfighting Development Center (Top Gun), the Undersea Warfighting Development Center and most recently the Naval Information Warfighting Development Center. Wade called SMWDC’s “signature process, the signature thing, is the creation of the Warfare Tactics Instructor program, the WTI program.” The WTIs are trained in high-end warfighting skills in the areas of amphibious warfare, integrated air and missile defense, anti-submarine and anti-surface warfare, or mine warfare, and they then scatter out into the operational fleet and bring with them their deep knowledge of tactics and procedures that their crews can leverage during deployments around the globe. Beyond continuing to produce more WTIs, though, SMWDC during Wade’s time as commander has also expanded its work with the fleet through conducting pre-deployment training events, answering specific questions about how to best use equipment or handle an operational scenario, working with the resource sponsor at the Pentagon and the technical community to address capability gaps, and even advising during real-world events like the Syria strikes. Wade said he was pleased with SMWDC’s growing role “in supporting the fleet and the requests for either answers to questions or recommendations for tactics or sensor settings.” Though he said he could not discuss the support provided last month in the Mediterranean Sea, he did address the organization’s work after the series of attacks on U.S. Navy ships in the Red Sea in October 2016. Wade pointed to a September 2017 Proceedings article he co-authored that outlined SMWDC’s response after the Houthi attacks on four U.S. Navy ships operating in the Red Sea. “Partnered with the Naval Surface Warfare Center and the Program Executive Office for Integrated Warfare Systems, SMWDC reviewed event reconstructions generated from data from the Aegis weapons system (AWS), video recordings, and shipboard logs. Concurrently, our team traveled overseas to conduct ship visits and interview watchstanders, which provided a more detailed understanding of the conditions encountered during that seven-day period in October—including factors that influenced operator recognition and watchstander mindsets during the attacks,” Wade wrote in the article. Wade told USNI News that, in accordance with the chief of naval operations’ guidance and the new National Defense Strategy, “we have to be adaptable, flexible, we have to learn faster – and therefore, when we observe something in the battle space and we have to adjust, we have the mechanism and the processes to do so as quickly as possible, and I think that is a force multiplier,” he said of SMWDC’s role. One notable example of SMWDC helping to address a material gap was with the integration of the Sea Rolling Airframe Missile (SeaRAM) onto Rota-based destroyers. These particular ships were spending all their time looking up for potential threats and had fewer self-defense systems than some of the other destroyers in the fleet, and a combined effort by the Program Executive Office for Integrated Warfare Systems, U.S. 6th Fleet and the surface warfare community – including an integrated air and missile defense WTI on the SMWDC staff – helped test and execute the SeaRAM installation quickly. “This young WTI, just completed her division officer tours, is working modeling and simulation, working in the labs; developing a draft [tactical note] which goes through the procedures of how you’d use this new capability, which is the SeaRAM; and then we integrated with [the Commander of Operational Test and Evaluation Force during their [combat system ship qualification trials] testing,” Wade said of the SMWDC participation in the SeaRAM effort. During Wade’s time at SMWDC the organization also expanded its pre-deployment training, conducting a first Surface Warfare Advanced Tactical Training (SWATT) for a carrier strike group in October 2016 and then a first SWATT for an Amphibious Ready Group in March of this year. The America ARG completed a SWATT-like event before its first operational deployment, and the Essex ARG completed the first full-length ARG SWATT in March. The Kearsarge ARG will soon conduct the first East Coast ARG SWATT, Wade said. In addition to conducting work with the amphibious warfare WTIs, the ARG SWATTs include air defense, anti-submarine and anti-surface warfare training events. Wade said that SMWDC’s work to train deploying groups is proving to be important as the Navy faces growing and evolving threats around the world. “When it really comes down to it, under stressful and uncertain conditions, you really fall back on the level of training and the effectiveness of your procedures. So I try to instill in all of our folks, from the most senior to the most junior, that what we’re doing is critically important and is making a positive difference,” Wade said.